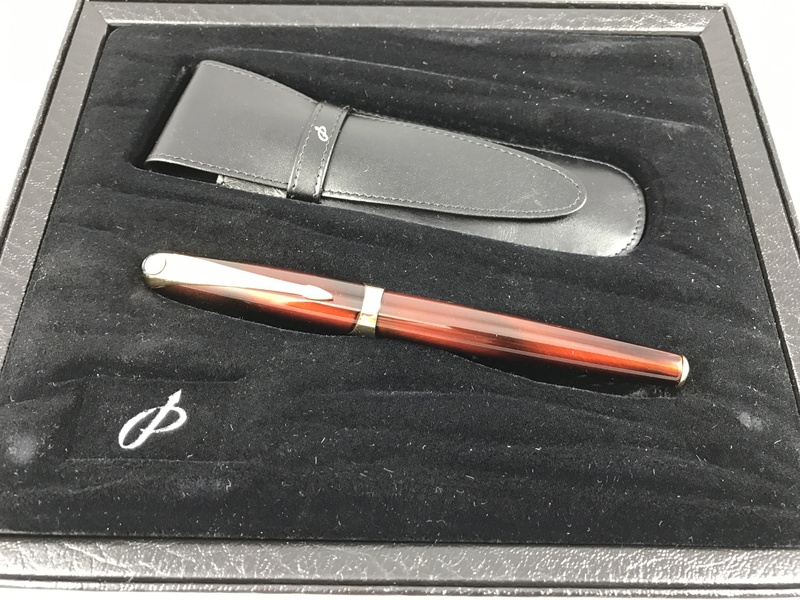 Offered here is a deluxe edition of the Parker Ellipse fountain pen in red (sometimes called “copper”) packaged with a carrying case emblazoned with the Parker logo. 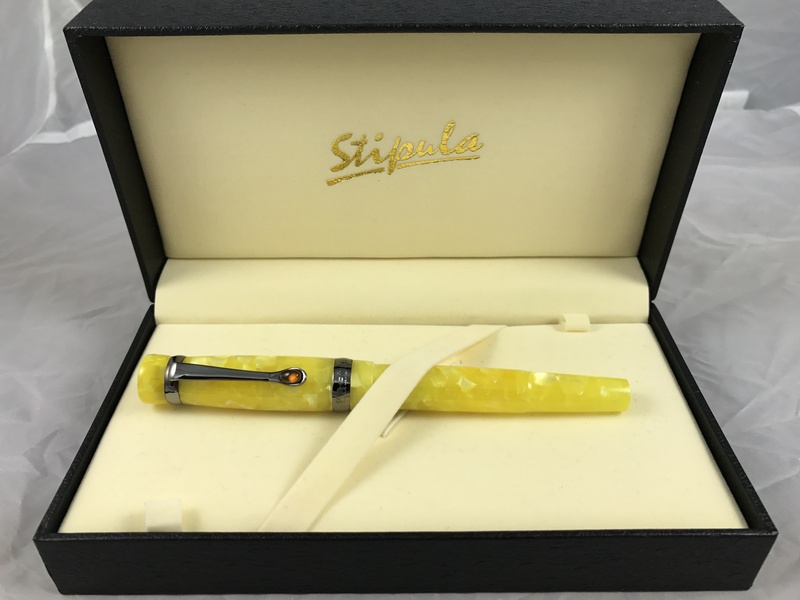 The pen features an 18K Medium nib and is cartridge/converter fill. (The converter and one cartridge are included.) The presentation is complete with box and outer sleeve, both in excellent condition. Produced only between 2000 and 2002 the Ellipse is highly collectable because of the limited numbers made during its short run.